Gold can be earned early for use in Fable 3, but only for those that own a smartphone. Fable 3 players won't be able to earn pre-launch in-game cash through an Xbox Live title as they could by playing Fable 2's Pub Games, though Microsoft will be allowing players to do so through a smartphone app instead. If you can't travel to a new location without checking in through a social networking website, you'll feel right at home using the upcoming app. It's called Fable 3: Kingmaker and was caught by CVG in the most recent issue of Xbox World magazine. Playing Kingmaker will apparently earn players gold for use in Fable 3. The game's official website says that it'll launch on October 1, but exactly in what regions or on what platforms is unclear, so it could hit the Apple store, or it could be released through other methods. Kingmaker's description reads: "The kingdom of Albion is in turmoil. Two rival armies are fighting for total dominion: the tyrant king's Royals and the revolutionary Rebels. And now the battle has spilled onto the wretched streets of Great Britain! For this is where the wondrous world of Fable meets the real world. Where the battleground is your town, and your only weapon is your smartphone." 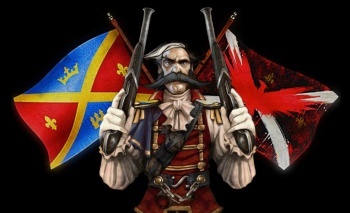 "Your mission, should you be foolish enough to accept it, is to plant virtual flags for the Royals or the Rebels, and claim power-ups in locations throughout the United Kingdom... For every flag you plant, and every power up you claim, you shall earn gold coins, which you shall then be able to transfer into the Fable 3 game on your Xbox 360!" I was initially baffled by the choice to ditch the platform of Xbox Live for a smartphone app this time around, but what Microsoft is doing here is at least different than a simple mini-game. It possibly solves the problem of people cheating through Pub Games to earn massive amounts of cash (as they did), and is still something neat that Fable 3 players can participate in while waiting for the game to come out. Depending on how Kingmaker is released, it could be fun for those that enjoy "checking in," just as long as it protects people's privacy as well.